Here at After Nyne we like to think about where our foods come from and what impact it’s having on the planet. The United Nations Food and Agriculture Organization (FAO) estimates that one in nine people are chronically undernourished. With the world’s population expected to increase from 7 billion to reach 9-11 billion by 2050, an important question is how we will feed ourselves in the 21st century. Studies indicate that a varied vegan diet requires about a third of the land needed for conventional Western diets; 3.5 billion humans could live off the food currently fed to livestock. As a meat lover I cannot preach a fully vegan or vegetarian diet but understand that there is a need to cut down on my daily and weekly consumption of meat. Vegan month is a great opportunity to try out new dishes and recipes without the commitment to a life time without meat! If you’re already vegan or want to give vegan month a try here’s our guide to vegan month in London so far. Open seven days a week on Eastcastle Street, just off Oxford Circus, ETHOS is a pay-by-weight concept that specialises in dishes from around the world, all bursting with flavour and colour. Allergy sufferers and those with special dietary requirements are well catered for with a vast range of gluten free, dairy free and vegan options. Ethos is all about freshness and choice, with all dishes freshly prepared from scratch in the kitchen each and every day. Estimated spending is around £12-14 for food and drink. Vantra Vitao believe that organic food is best, and should be kept in its natural state. 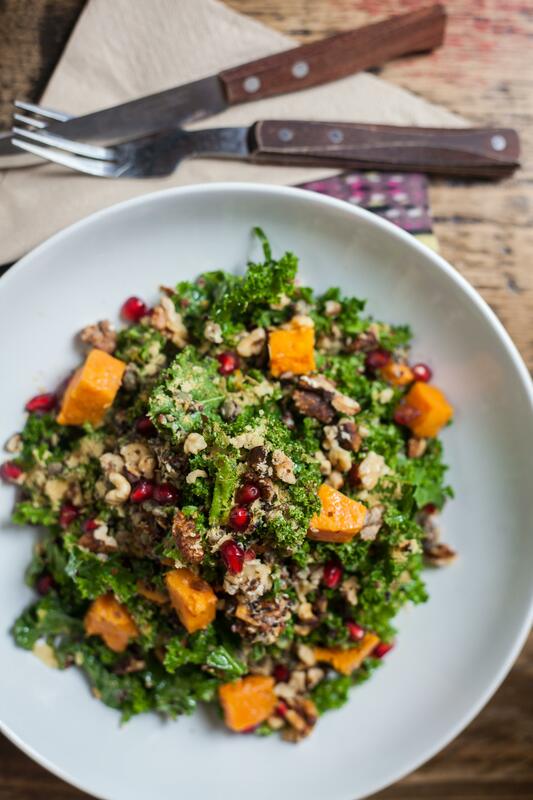 This means raw, or only carefully cooked dishes are at their healthy food restaurant, with as many organic and whole food ingredients utilised as possible. They deliver a complete nutrition package with every meal, so that whatever you choose from the broad selection results in your well-being. Everything they serve is 100% Vegan to encourage compassionate living, help stop climate change, and to promote good health. Where all vegan diets are free from cholesterol, their specialist foods go a step further and avoid, not only animal products which are carcinogenic, mycotoxic and highly acidic, but also plant based produce such as corn products, peanuts and cashew nuts. Join them daily between 11:30 – 22:30 to enjoy a wide variety of delicious food at our buffet, whilst gaining a valuable insight into veganism and an optimum nutritional experience. From 17:30 onwards you can enjoy a relaxed and vibrant atmosphere, accompanied by candle lit table service, welcoming staff and a wholesome À la carte menu. Top Dog offer delicious tofu hotdogs including the ‘Lettuce Dog’ in a no-bun lettuce wrap – fully customisable with build it yourself toppings, whilst also having enough meat options to cater for any fussy friends. Tanya’s Café at My Hotel Chelsea offer food that is raw living, plant-based, hand-picked, organically grown, ethically sourced, and free from refined sugar, dairy or gluten. It also the first superfood cocktail bar in Europe so if you want kale with your gin this Tanya’s is for you. Las Iguanas have an amazing separate vegan and vegetarian menu. Our favourites on it are the Bahia Moqueca, a mild coconut curry with squash, palm hearts, spinach, peppers, garlic & fresh tomatoes. Chunky sweet plantain piled on spring onion & garlic rice, with pico de gallo & coconut farofa to sprinkle and the Chiilli Con Veduras, chunky sweet potato, butternut squash & chickpeas braised with spiced tomtoes, with garlic & spring onion rice, warmed tortillas and pink pickled onions. Follow me on Instagram this month for vegan recipe ideas and more places to eat in London. Posted in art and tagged food, good life eatery, london, raw vegan, vegan, vegan month, veggie. Bookmark the permalink. Elbaz is Ousted from Lanvin: Is Consumerism Consuming Creativity?